René Caovilla's sleek leather sandals have been made by skilled artisans in Venice. 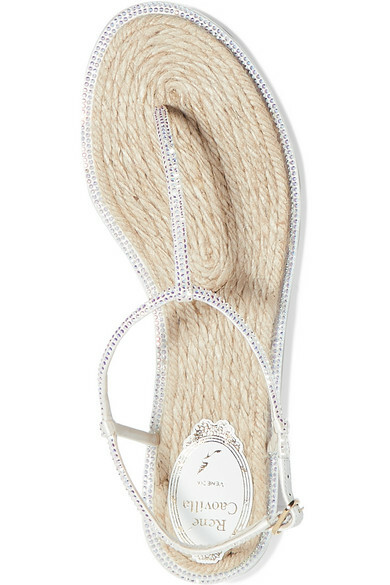 This 'Diana' pair has a braided espadrille footbed and bejewelled T-bar straps that’ll twinkle in the sunlight so beautifully. 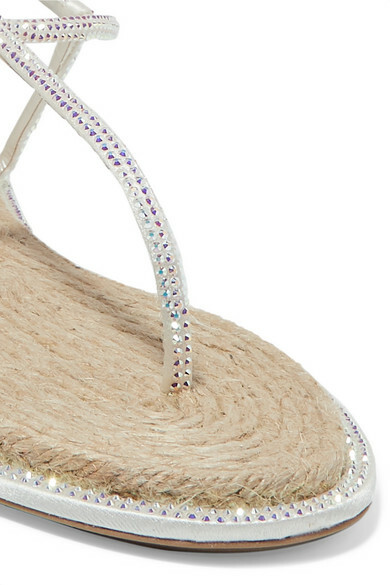 Pair them with a linen skirt or floaty dress. Shown here with: MATÉRIEL Dress, Rosantica Clutch, Chloé Earrings.